Something's in the water at The Voice — and I'm totally loving it. Season 10 of The Voice has already brought us the best talent yet. But there's something unique about this season's talent that we've never seen before. This is hands down the most experienced batch of contestants yet — many of which have strong connections and résumés in the music and film industries. But the most experienced of all has to be Tamar Davis. The 35-year-old has spent the past 20 years in the music industry and has worked for some of the biggest names in the biz. She's ready to take The Voice stage to jumpstart her solo career. But the real question is, is The Voice ready for her? Davis started her career over 20 years ago in a band called Girls Tyme. In case you haven't heard of it, this is the same band that Beyoncé got her start. Pretty big deal, right? While Beyoncé and three other members from Girls Tyme went on to form a little group called Destiny's Child, Davis was forced by her parents to stay behind and keep up her education. If she doesn't still hold a grudge over her parents for this, then she's a much better woman than I. After finishing her schooling, Davis was ready to get back into the music industry. 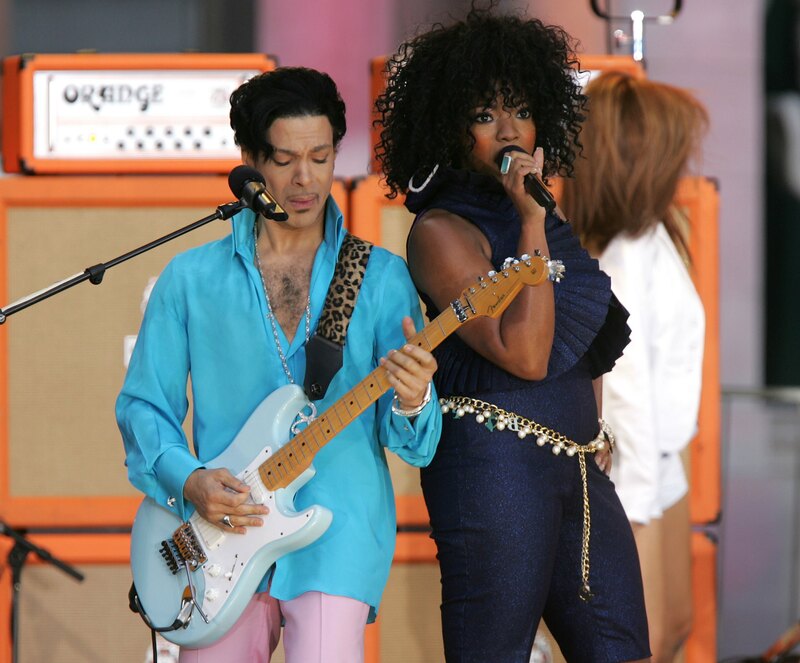 Her most notable gig since has been with Prince. Again, pretty big deal. She's also tried her hand at acting, which is where she became close with a director named Tyler Perry. Heard of him? Yeah, so Perry is actually the one who encouraged Davis to audition for The Voice. If it's not clear yet that Davis is the real deal, then her voice may make you a believer — that is why she's here, right? The aspiring solo artist performed a crazy powerful rendition of "Chain Of Fools." The only thing wrong with it is that all four coaches didn't turn. Davis did get Christina Aguilera and Blake Shelton to turn, though. And I'll give you one guess as to who she chose. If you said Aguilera (which you totally did) then you're right. There's no doubt that Aguilera will take Davis's talent to the next level and get her ready for her solo career. Who knows, this may finally be year that a female coach could win The Voice — and Davis just might be the contestant to make that happen.